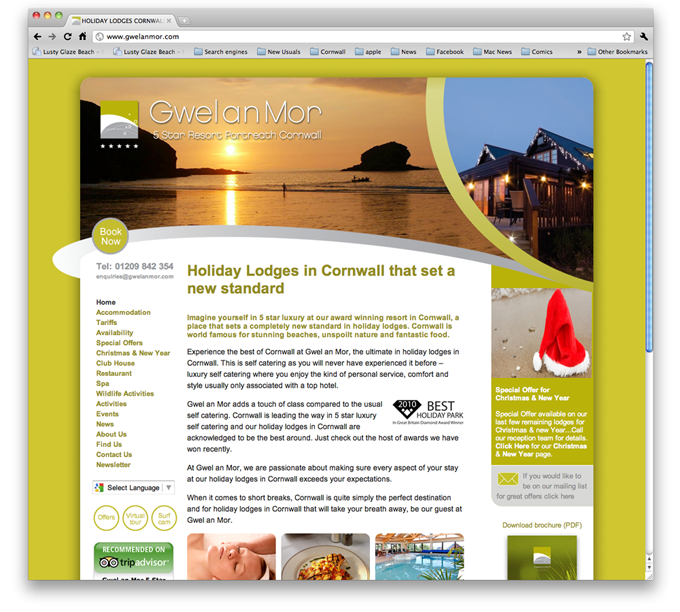 Gwelanmor is a luxury 5-star resort on the North Coast of Cornwall. Design Web Consultancy was brought in to work with long time collaborative team of Creative Edge to develop an online Marketing Campaign that would drive better customers to the site. To do this we implemented a long term SEO and PPC strategy. After conducting extensive keyword research, a new site was rolled out and the drive to develop the online presence of the resort began. It has already been deemed highly successful by the resort’s owners.